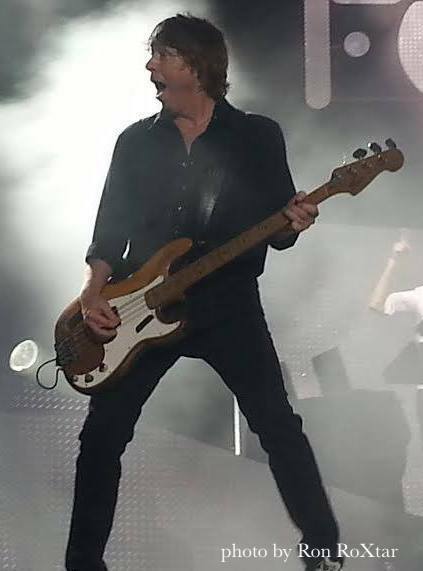 Foreigner bassist Jeff Pilson came to worldwide success and prominence in the 80s playing with the hard rock band Dokken. After a few more projects Jeff joined up with top metal vocalist Dio until 2004. He also had a brief acting gig in the Mark Wahlberg film Rock Star before becoming a member of the classic rock band Foreigner. 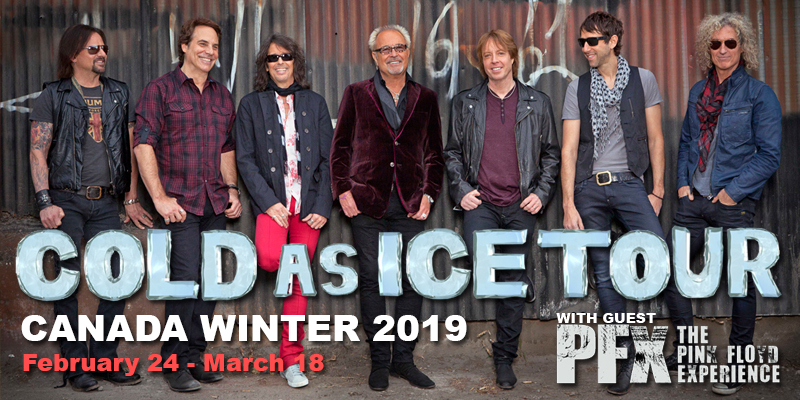 The band is currently heating up winter with their Cold As Ice tour. Jeff recently spoke with Curtains Up. Curtains Up: So many bands like to tour during the summer when it’s hot. How come you guys are touring Canada during the cold winter month of February? Jeff Pilson: Because we’re really manly (laughing). Seriously, we really love Canada and we love touring, so we want to take every opportunity we can. 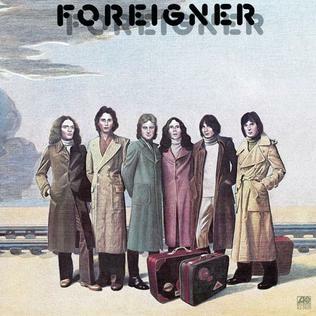 Going back what was your first introduction to Foreigner? JP: Oddly enough I was a huge prog guy being into Yes, Genesis and King Crimson. When Foreigner first came out I heard about them because it had Ian McDonald from King Crimson in it. Then when I heard the band it was like “Wow this is great.” It was great rock with great vocals and great guitar playing. The whole thing was just great to me. I was very excited about that. It became a template for me. It had a lot of power with great songwriting. That was my first impression and it stuck with me. So you went from being an obvious fan to an actual member of the band. How did you get the gig in Foreigner? JP: I was very fortunate. 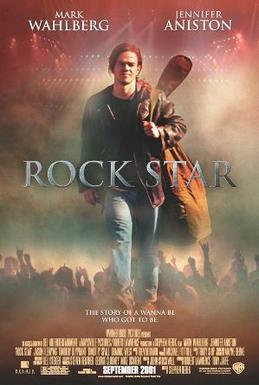 I was in a movie called Rock Star in 2001. Which I have to say is probably my favourite project you’ve done. I know everyone wants a Dokken reunion but I want a Steel Dragon reunion. JP: It’s funny you should say that because somebody is working on that right now. There’s the talk of maybe a residency somewhere. It all comes down to scheduling but if it can happen I’d really look forward to that. So yeah I was in that movie along with Jason Bonham who played the drummer and I was the bass player in the fictional band (Steel Dragon). Jason and I got along very well personally and musically. We even wrote a song together that didn’t end up in the movie but we got publishing deal out of it. So when Jason started working with Mick Jones in 2004 he convinced him to revamp Foreigner and they called me up and I’ve been in the band ever since. Recently Foreigner did what was called Double Vision Then and Now with the current and original band line ups. How did those shows go over? JP: Oh man, they went over just great. All the guys are just so cool. It was a lot of fun. People are curious about the relationship between the singers Kelly Hansen and Lou Gramm. I wanted to ask you how was your relation with Foreigner bassist Rick Willis? JP: Oh I love Rick. Rick is such a wonderful guy. He really is. I have no problems with Rick at all. Are there any more plans for future shows with the two line ups of Foreigner? JP: Yes, there is. It should be more towards the end of this year. There is a lot of live Foreigner products out there including some new ones coming out. Are there any plans for a new studio album? JP: Our last studio album was in 2009 with Can’t Slow Down. It was a great experience and we had a lovely time making it. We tour so much around the year that the ability for us to sit down and make a full record is almost none. I think what we’re going to do is release new songs here and there. Like on the compilation Foreigner 40 we did a couple of new songs Give My Life For Love and The Flame Still Burns. We will have new material coming out from time to time. I spoke with Kelly a few years ago in Ottawa and asked him if he ever sang Low Down and Dirty which he said he didn’t. I asked him that because it’s from the Unusual Heat album that I really liked. I thought it was rocking with Johnny Edwards. JP: You know what? A lot of people I speak to like that album. I really liked that album myself. I was a fan of it. Is there a song in the Foreigner catalogue that you’ve never performed live that you would like to? JP: Not one that we’re never played, but one of my favourite songs is At War With the World from the first Foreigner album. That’s a personal favourite of mine. We used to play that around 2006. We have so many songs that are better known. What do you give up to do another song? We have 16 top 30 songs so there’s your setlist right there. We spoke about the movie Rock Star before. Are you interested in doing any more acting? JP: Oh yeah! I was pretty lucky in Rock Star because they wanted an 80s bass player so it wasn’t much of a stretch for me to do. However, I would love to do more. Being in that movie kind of gave me the edge a little bit. I would love to challenge myself on the acting side of things. If the opportunity ever came up I’d jump on it. JP: I really like Dominic West who was in the movie Rock Star with me. I just saw him in that film with Keira Knightly called Colette. He was so good in that. He was the guy when we were doing Rock Star that really fascinated me the most watching as an actor. He is just so talented. Zakk Wylde and I had to show him how to play the guitar and he was just so focused. So, for now, I’d say Dominic West. So what was it that made you decide to play bass? JP: I can tell you exactly what it was. I was on the playground in sixth grade with my best friend. We used to do this routine to a rootbeer commercial. Some guys heard me so they came over and said they were starting a band and would I like to sing? I was like “Sure.” Then they asked me if I wanted to play bass and I was like “Yeah sure why not?” I had a paper route at the time so I went out and bought a 35 dollar Teisco bass and a 35 dollar Gibson Skylark amp from Eddie Ryan who was in a local band. I got my start in sixth grade and here I am. Who was your biggest influence when it comes to playing bass? JP: Over time it would have to be Chris Squire from Yes. He was my absolute favourite. He’s pretty amazing. 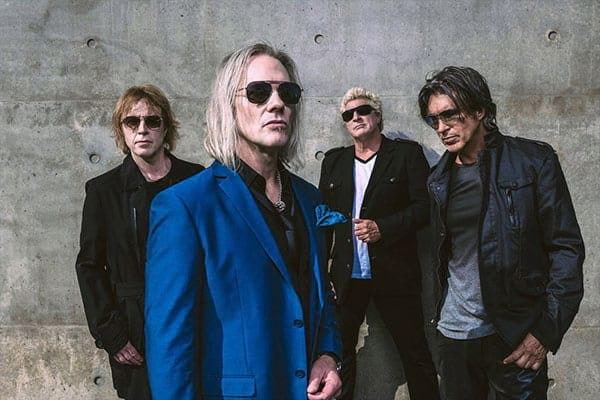 You now have a new project with Dokken members George Lynch and Mick Brown called The End Machine. I checked it out and it certainly does not sound like a ripoff of Dokken, and George Lynch’s guitar playing is going in a whole new direction. How did this project come about? JP: Thank you for saying that. Yeah, George is just so inspired. How it came about is George called me up to do some writing because Frontiers records the label that we’re on originally called him to be on a Jack Russell (Great White) solo record. George and I will take any excuse to work together because we love working together. As we were writing I’m not too sure what happened but the idea of working with Jack fell out. Since we had been writing Frontiers Records asked us if we thought we could get Mick Brown involved and we thought we could so he came over and played the drums. Then Robert Mason’s name came up since he had been in Lynch Mob with George some 20 years ago. Robert is now the singer with Warrant and I had just produced a Warrant record (Louder Harder Faster). Robert is just a phenomenal writer and singer. So once this lineup was in place we kept on writing and came up with something we’re all very excited about. With The End Machine you’re really getting the best of both worlds. You have members of Dokken and Lynch Mob. JP: Yeah well it’s such great chemistry and we love working together. It’s just so magical. That’s why we got three shows coming up. What would be your top three desert island discs? JP: My top three desert island discs are Revolver by The Beatles, Close to the Edge by Yes and Ok Computer by Radiohead. What would you like to say to the Foreigner fans in Montreal? JP: I’d like to say be prepared for lots of high energy and lots of songs you know. Be prepared to have a lot of fun. A Foreigner show is a great experience all around. Be prepared for one hell of a night. 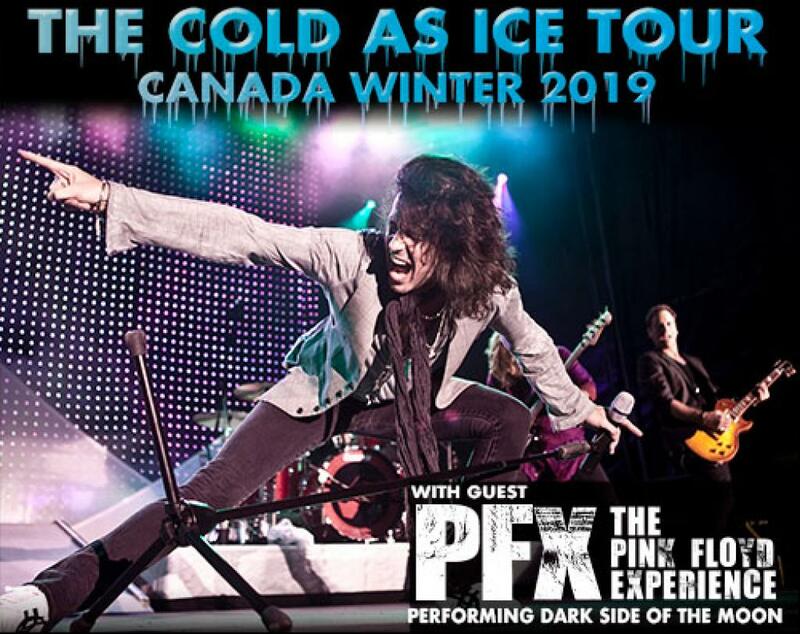 Foreigner headlines Place Des Arts on March 12. For tickets, visit placedesarts.com.